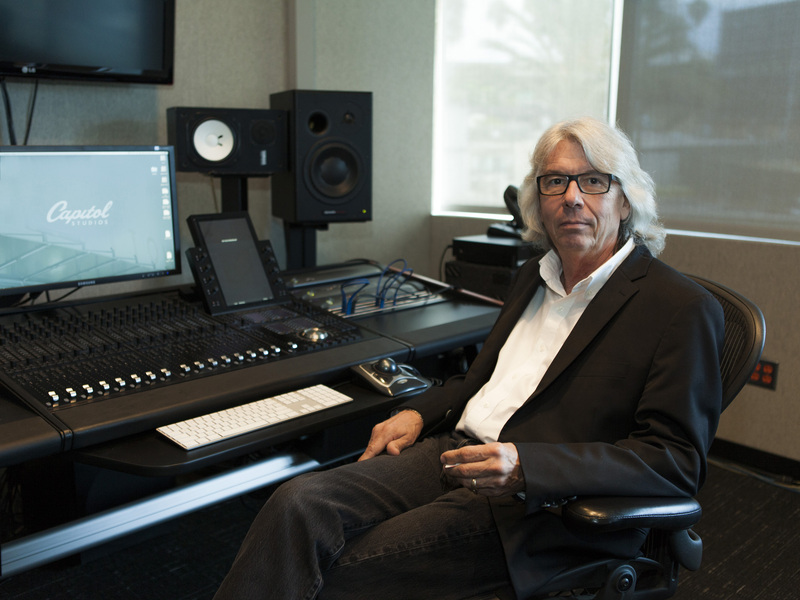 Art Kelm, Vice President, General Manager and Chief Engineer at Capitol Studios. WESTLAKE VILLAGE, CA, July 22, 2015 — It can be difficult to sum up Art Kelm’s wide job description at Capitol Studios, located in the iconic Capitol Records Building in Los Angeles. His titles include Vice President, General Manager and Chief Engineer; “My job as General Manager is to make sure things function smoothly, and my job as Chief Engineer is to stay on top of technology and make sure that we are current and forward-thinking to stay competitive,” he notes. Capitol Studios, where iconic recordings from the likes of Frank Sinatra, Nat King Cole and The Beach Boys made the space historic, and where scores of other massive records have echoed through the walls in the decades since, has a legacy to maintain, and Kelm takes the job very seriously. As Kelm purchases and maintains the equipment necessary to keep Capitol Studios on the cutting-edge of recording technology, he relies on Guitar Center Professional (GC Pro), the outside sales division of Guitar Center that focuses on the needs of professional users, for gear and service both great and small. Photo caption: Art Kelm, Vice President, General Manager and Chief Engineer at Capitol Studios. Since its completion in 1956, Capitol Studios has been a staple of the recording industry. Iconic artists like Frank Sinatra, Nat King Cole and The Beach Boys first gave life to its room and to this day, major icons of popular music including Beck, Katy Perry, Sam Smith, Mary J. Blige, Banks, One Republic, Dwight Yoakam and Neil Young continue in its wake. For over half a century, Capitol Studios has been renowned for their commitment to sonic integrity and for cultivating an environment of creativity and energy where the history within the walls of the famous Hollywood landmark is brought to life every day.